That’s because “Google’s driving” is always the computer, helming one of its self-driving robo-cars. And they’re probably right, as Chris Urmson, the head of Google’s self-driving car program points out. Our self-driving cars are being hit surprisingly often by other drivers who are distracted and not paying attention to the road. That’s a big motivator for us. The most recent collision, during the evening rush hour on July 1, is a perfect example. 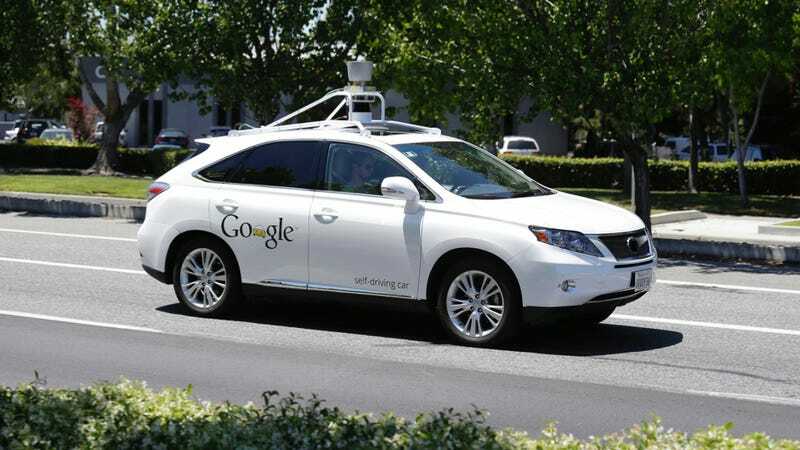 One of our Lexus vehicles was driving autonomously towards an intersection in Mountain View, CA. The light was green, but traffic was backed up on the far side, so three cars, including ours, braked and came to a stop so as not to get stuck in the middle of the intersection. After we’d stopped, a car slammed into the back of us at 17 mph — and it hadn’t braked at all. Instead, the clear theme is human error and inattention. We’ll take all this as a signal that we’re starting to compare favorably with human drivers. Our self-driving cars can pay attention to hundreds of objects at once, 360 degrees in all directions, and they never get tired, irritable or distracted. People, on the other hand, “drive as if the world is a television show viewed on TiVo that can be paused in real time — one can duck out for a moment, grab a beer from the fridge, and come back to right where they left off without missing a beat” — to quote Sheila Klauer of the Virginia Tech Transportation Institute in Traffic: Why We Drive the Way We Do. And he’s got a point. Humans are flawed, imperfect. Filled with soft, weak flesh and bones, instead of perfect, cold metal. It’s what makes them fun, most of the time, but it also makes us less than ideal for operating heavy machinery. Which cars tend to be. Computers are consistent, efficient, and always perfect. ALWAYS. But I really, really hope no one is getting a beer from their in-car fridge while they’re driving. That would be illegal.